Not too long ago, we showed you how to create a bootable MacOS on a USB stick. This makes it simple if you are an IT expert and it is your job to install the OS on a large number of computers. You can just put the USB stick into the Mac and boot up the installation process from there. Nothing to it. But did you know there is a similar feature for Windows 10? 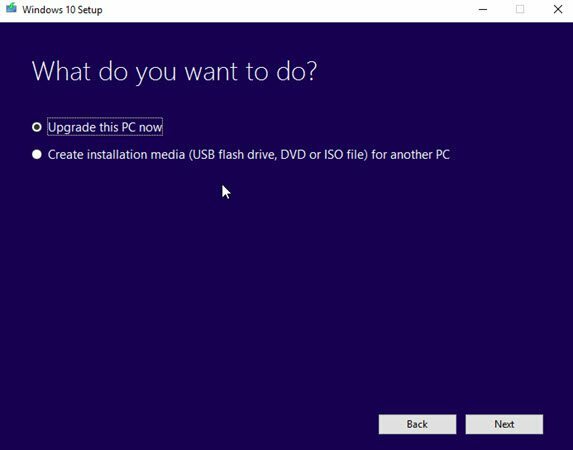 You can make a bootable Windows 10 installation USB stick to install the operating system on any computer. However, unlike MacOS, Windows is obviously not free. 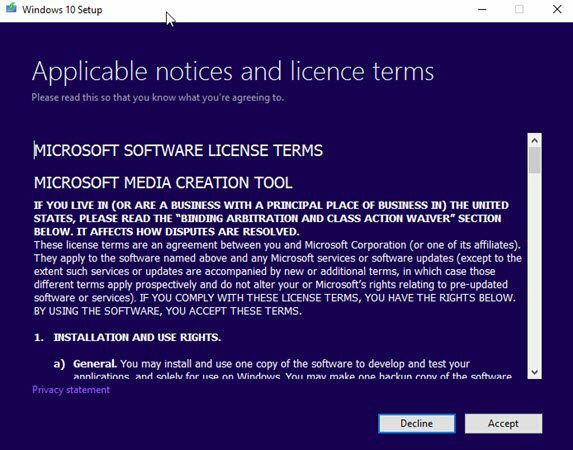 Therefore you would also need a valid and legal license key to make the Windows OS work. We can’t help you with that, but we can help you create the installation file. 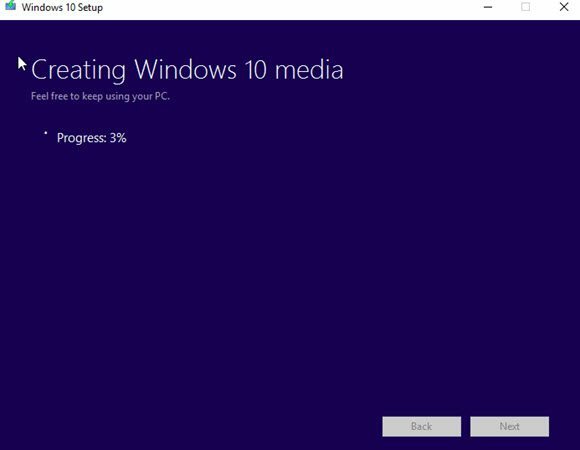 Just like the MacOS installation USB stick, the version of Windows 10 that you put onto the stick will be the current version. This means that any updates and patches pushed out afterwards will not be included. So after installing Windows 10 on any future computers, you would then have to ensure all essential patches were applied. This can be done via Windows Update. 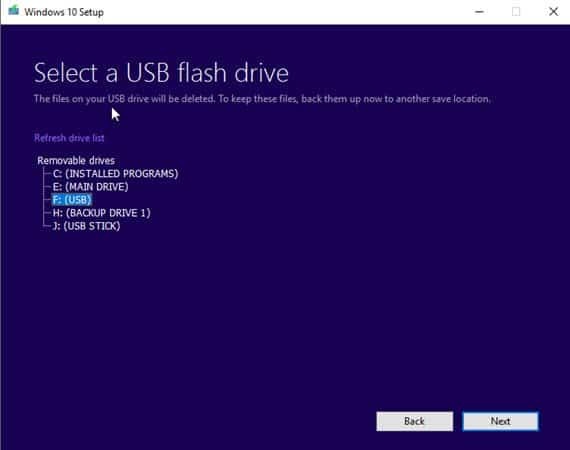 Alternatively you can wipe the USB stick say once a week or once a month, and reinstall the operating system again, so you have a more or less up-to-date copy. The whole process outlined below only took 30 minutes so it’s no big thing. The first thing you have to do is make sure the USB stick is completely blank, and that there is at least 4GB of space. You also need to wipe all hidden temporary files on the stick. To reveal the hidden temporary files, go to Windows Explorer, click on View, and then tick the box for “Hidden Items“. Delete everything you see on the USB stick, then untick that box again. It’s unticked by default to stop you from accidentally deleting critical system files. Next, you need the free Media Creation Tool from Microsoft. Click on the blue “Download tool now” button, and a very small “exe” file will download to your computer. This file is portable in nature in that it requires no installation, and opens up immediately. This stage is where you delude yourself into thinking you have thoroughly read the terms and conditions. In reality, you’d rather have a hot fork shoved through your eye. Click “Accept“. Don’t worry, you only have to sell your soul to the Devil and give up one child. You will then be asked whether you want to upgrade the PC to the latest and greatest version. Or “create installation media (USB flash drive, DVD, or ISO file). That’s the one. Click that. You will be asked in the next stage to choose between USB and ISO. An ISO file is an image file ready to be burned onto a disk. We have our USB stick ready, so choose “USB“. Now tell the media creation tool which USB stick you want to install on. As you can see above, I clicked on Drive F. If you don’t see your USB stick, click “refresh drive list” at the top. Make sure you get the right USB stick. Remember, everything on it gets wiped, so clicking on the wrong drive would be pretty bad. This is the part that takes the longest, and the tool actually says you can continue to use the computer for other things. But this takes up so much CPU power that the computer slowed to a crawl. Maybe I just need to buy a new computer, or maybe it really is CPU-intensive. This takes approximately 10-15 minutes. Your mileage may vary. As soon as the installation file has been completely downloaded and verified, it will immediately start to go on the USB stick. This is another 15 minutes or so. Since the CPU will grind along at 100% (at least it did for me), I highly suggest you find something else to do. Smell the roses, read a book, dance with your spouse. Eventually it will tell you the process is finished. Close the media creation tool, and check your USB stick to make sure nothing has exploded. This is what the files will look like on the USB stick. 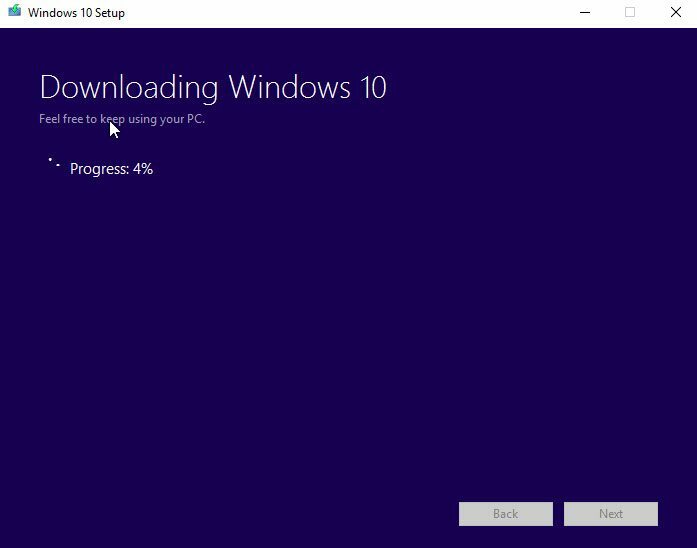 When the time comes to reinstall Windows 10, the only file you need to concern yourself with is the setup.exe file. Double-clicking this will open up an installation window and get the ball rolling. Remember to have that license key ready to be typed in. 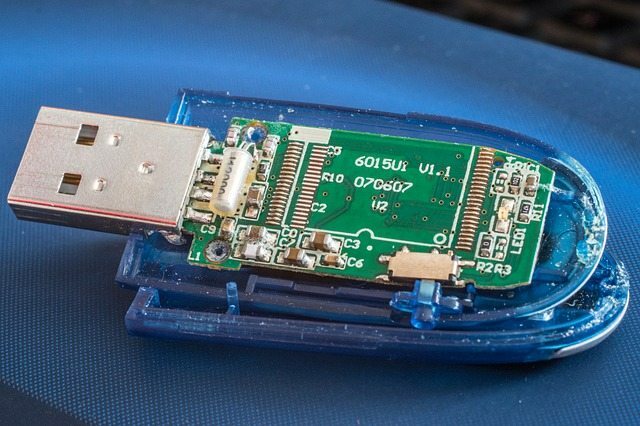 As you can see, the process to make a USB stick like this is extremely simple. If you are the kind of person who likes to burn disks, then by all means choose the ISO option. Then use CD Burner XP to burn it to a blank disk. Despite its name, CD Burner XP works perfectly on Windows 10. I will be looking at ISO files and CD Burner XP in an upcoming article. Let us know in the comments if you are having any issues with making your installation USB stick, and I will see what I can do to help.